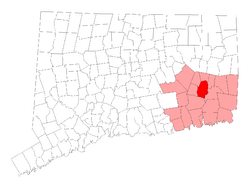 Just half of an hour south of our North Windham dental clinic at 6 Airport Road is your city of Norwich, CT. Known as "The Rose of New England," Norwich, Connecticut is located in New London County, and was founded in 1659. Whatever neighborhood of Norwich you live in, whether it is Bean Hill, Yantic, Taftville, Occum, Greeneville, Norwichtown, Thamesville, Laurel Hill, East Great Planes or Chelsea, you have a pediatric dentist on call 24 hours a day in the event of your child having a dental emergency. One of our pediatric dentists is always on call and just a short distance away at CT Pediatric Dentistry, and our after-hours emergency hotline number is 860-523-4213. 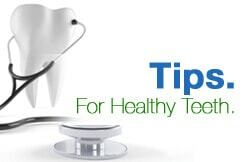 CT Pediatric Dentistry is where to go for emergency dental surgery. To make an appointment with us at our North Windham office for regular dental care for children, call us there at 860-456-0506. We'll be happy to schedule a check-up and cleaning and X-rays, and we also offer all the restoration and extraction services you would expect from any dentist. We even offer cosmetic dentistry such as bonding in the event of a tooth breaking or chipping. Our dentists' years of experience working with children allow us to understand the best way to bond the teeth to protect them, while being also being cosmetically sound. Doctors Epstein, Wrubel, Maltz, and Kabakoff are dedicated to ensuring your child has a positive experience during checkups and oral surgeries at CT Pediatric Dentistry. Our entire team, including the front desk, dental hygienists, and assistants are passionate about offering the best pediatric dental care in the state and getting to know you and your family for years to come. Children of Norwich, CT have a dental home at CT Pediatric Dentistry, where they'll feel safe in our fun and friendly environment where we use kid-friendly methods and pride ourselves to reach young children and teach them the fundamentals of proper oral hygiene. CT Pediatric Dentistry in North Windham is the place to find a good dentist for your child or teenager.